Home » Growing » How to Turn $50 into $1,000 Growing Ornamental Grasses. How to Turn $50 into $1,000 Growing Ornamental Grasses. A few days ago I purchased about 600 Ornamental Grasses wholesale. I paid $1.50 each. As I was unpacking these plants I thought to myself; “What a great business this is!” I bought these for $1.50 each and I will be able to sell them next spring for $4.97. I will only sell half of them next spring. The other half I will tear apart into multiple pieces multiplying my investment right before my eyes. Not only can I watch my money immediately being multiplied, I won’t ever have to buy these plants again. I will continue to sell half of what I have and multiply the other half. Each time I sell off half of them and divide the other half my inventory will grow, not shrink. What other business has that advantage? The only thing that I have to buy is potting soil and pots, but if you grow in beds and ship bare root as many of my customers do, you don’t even have those expenses. Just shake them out, pack them in a box and away they go. Sell half of them (16) for $4.97 each about 6 months later. Your income would be $79.52 for a profit of $30.02 minus 25 cents for the pot and soil leaves you $26.02 net profit. You Just Earned $26.02 on an investment of $49.50 in less than 12 months! You ain’t gonna get that at the bank! But that’s just the beginning. You still have 17 plants that you can divide and divide again and again. Next spring you divide those 17 plants and get 5 division from each plant. You now have 85 plants. 12 months later you divide those 85 plants, 5 divisions per plant, you now have 425 plants. 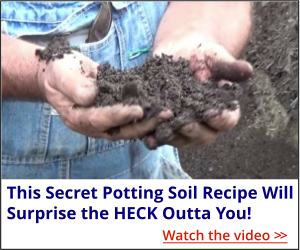 Keep in mind, one growing season in a pot and they will sell all day long for $4.97 or more. Most garden centers get upwards of $20.00 for many of their ornamental grasses. Think about the investment that I just made. I didn’t buy 33 plants. I bought 600. I know what the potential of this business is. I should have bought 2,000 but I have so many other plants that I still want to buy this summer I have to be careful to not spend all of my money on one kind of plant. It’s tempting! You Can Sell the Plants that You Grow to Customers All Over the Country. I have a customer that is 74 years old and she ships plants all over the country and has been doing so since she started with me many years ago. All you have to do is pack them in box and away they go. Actually I have a lot of customers that ship plants all over the country. In my system I show you how to find the customers that are willing to buy from you. Are these results guaranteed? Of course not. This business is no different than any other, there are always risks. But if you look around your town, think about all the business owners in your town, they took risks and today their lives are changed so much for the better because they did. In this business you’re taking a pretty small risk. You only have to invest as much or as little money as you want. You need to get started today. Not next week or next year, today is the day. Every day that you put off getting started is putting you behind. The first thing I hear from my customers after they sell their first plants is; “Mike, I should have started sooner! I so wish I had bought your program the first day that I saw it. Take that first step, click here. you got me interested many years ago.I still read each email you send Best part is I use your advice.Thx.Mike. I would like to grow ornamental grasses for profit. What do I need to buy/ join to learn the step by step process? From purchasing plugs to splitting and over wintering. Thanks! I see the Backyard Grower University is advertised as an upgrade for $97.00. Do I need to purchase another product first? Thanks, I will be purchasing the University. Would only make a profit if you harvest your rain water or access to free water. Mike, it never gets old. I’m a member and I read stuff like this all the time, but just to open this today, and read it again, validates why I’m in this business. I currently have hundreds of cuttings rooting right now, but this just makes me want to go out right now and make more! Thanks for your constant shots in the arm and kicks in the ***. Let’s start with step #1. Where does one buy 33 plant for $1.50 each? I also got 25 eastern white pines for .90 each. They came rooted and are about 12-16 inches long. I can’t wait to get them growing! I’d have to say that yes of course there is a market for lemon trees. Orange trees or other citrus might be a bigger market but I’m sure there is a market. Thanks for info can you sell Lemon tress??? What kind of grass sells best????? That really depends on what zone you are in. Grasses vary from warmer climates to colder climates. What is the best type of ornamental grass to divide and repot, in your opinion ? That really depends on where you live, what zone etc. Patsy, just made a comment on my blog. What do you wrap the plants in to keep them alive while they are being shipped? Plastic around the roots, but the tops should be dry. I’m going to post something about this soon. I recommend that nobody should be shipping plants to anybody else until they themselves have purchased from multiple sellers so you can first hand how it’s done, and what the plants look like when received. how much are the pots? is that cost figured in to the profit? We put most everything into small pots and usually pay between 15 cents and 20 cents for a pot. It sure does Darren … But you need to watch for Plant Breeders Rights in the UK. You can’t simply propagate plants that are listed under PBR. Best to do your research first. 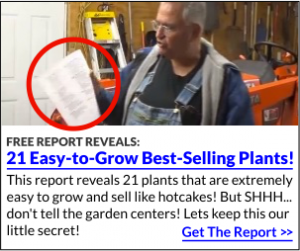 Oh, and Mike’s system is the most comprehensive guide to getting your own plant nursery business started. This is the official position of the UK government. Just like in the U.S. the plant breeders rights is like a patent and only applies to new introductions. There are so many varieties of plants that you are free to propagate you don’t even have to pay any attention to those that are protected. I certainly don’t. 99% of what I grow and sell is in public domain. I really don’t know what it is that you have. Bamboo gets very rigid by the end of the growing season and is not at all pliable. These ornamental grasses that you are referring to in this article can they be purchased from now to fall and keep over the winter and start my selling of these grasses from there?. That’s what I’m doing with them right now. I’m buying them, potting them up and we’ll sell some in the spring and divide the rest. I have customers in New Zealand and Australia, all of this works well in your part of the world.